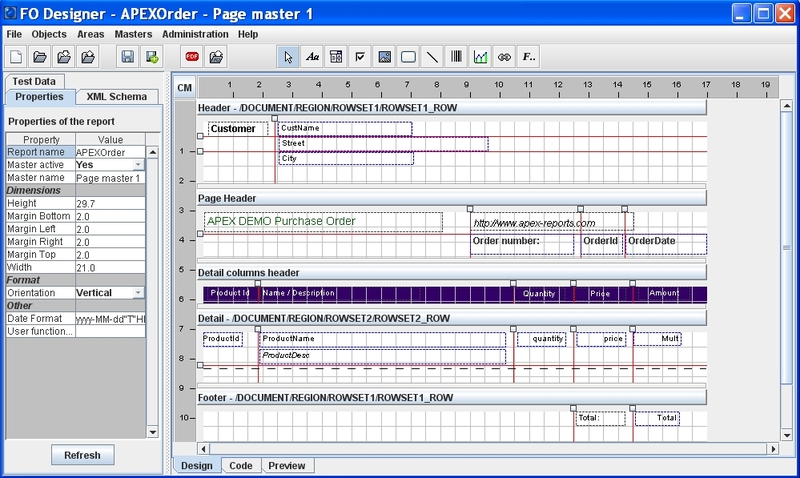 XSL-FO Designer and editor for Apache FOP. 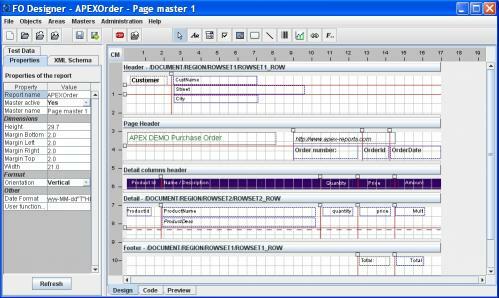 Graphical design tool of templates for converting XML to PDF. With this tool you load an XML file (and edit it) and with a few clicks you create a XSL-FO file which is used to convert your XML file to PDF. It can also create PDF interactive forms and it supports barcodes charts emails xpath editor grouping xpath functions and user defined functions. The ouput can be used in different environments like web services Oracle APEX (Application express) Apache cocoon SAP PI Oracle BPEL JBI AJAX and Java.